Aluminum helps attain overall recycling targets: its unique recycling potential and intrinsic value means that aluminum is the most cost effective material to recycle. The market for used aluminum is steadily growing. The more aluminum there is in a product, the more chance it has of being recycled. The aluminum industry is developing and refining its recycling processes. This ensures that aluminum maintains its position as the most valuable material that can be recycled. Emirates recycling researches all economic and environmental factors in order to find the best recycling options. ERL actively provides increased recycling. ERL is focusing on recycling in the context of increased global demand for used aluminum. At ERL, we recycle all types of Aluminum Scrap and convert it to wrought and cast alloys according to customer requirement. 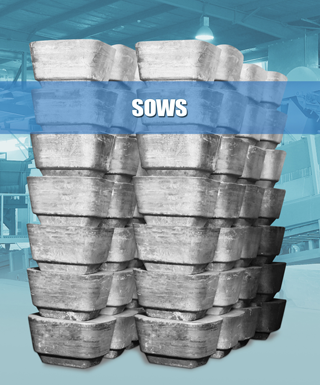 Secondary scrap is processed into 500 kg sow and 7 Kg ingots of Alloy 3004, 3005, 3105, 5251 and 5182. 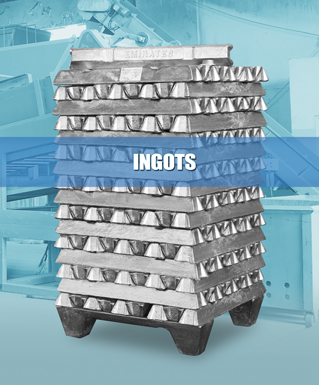 With extensive experience in scrap metal purchasing as per ISRI specifications, Emirates Recycling LLC scrap yard purchases various grades of aluminum scrap and other materials to be recycled and converted into the ingots and sows. Before we start our production process, aluminum scrap needs to be segregated and separated depending on the different types and also be free from other metallic, paper, plastic, cardboard materials and so on. 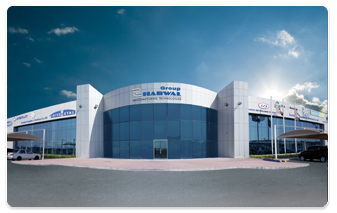 The scrap recovered after the segregation is treated according to their quality and analysis. We use computer controlled selection and mixing of scrap types to ensure that the chemical composition is as close as possible to that of the needed alloy. The selected aluminum scrap is shredded, de-coated and melted with VORTEX pump in LOTUSS side well furnace. The molten metal is fed into a holding furnace (converter) and the purification using charge correction, addition of alloying elements and metal treatment processes are performed. 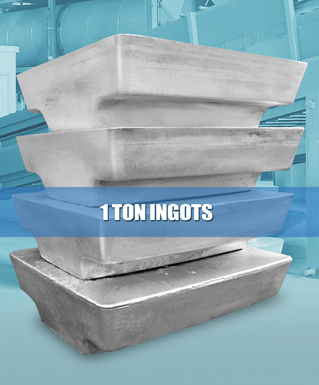 The molten aluminum is cast into ingots according to specific customer requirements in continuous casting machine, T-masters U.K.
Every single charge of the furnace is tested in the laboratory using modern computer controlled analytical technology equipment - ARL spectrometer.